According to relevant sources, the mainstream companies in the construction machinery industry will increase their sales in overseas markets. This is also an inevitable measure after an industry has developed to a certain stage and has acquired international competitiveness. China's construction machinery is competitive in the world, and it has gone through the process of industrial development from import substitution to global supply. In the next five years, the overseas market share is expected to exceed 20%. It is understood that after the export of China's construction machinery industry hit a new high in 2011, it maintained a rapid growth rate since 2012. Southeast Asia, South America, etc. are the major markets for China's construction machinery industry. The overall decline in demand of the machinery industry this year further exacerbated the market competition. It is not uncommon for customers to seize customers by means such as â€œlow down payment, zero down paymentâ€. However, this kind of radical marketing will boost the performance of some companies, but it will also bring along. To risk. Qiu Shiliang believes that leveraged sales are international and domestic practice, and different companies will use different business terms and leverage at different stages. At present, most companies are still in a controllable state. The core competitiveness is products, services, and creating value for customers. The industry development trend in the future (Caiyuan) is shuffle, the industry concentration increases, and scale profits are concentrated in leading leading companies. Mainly products :Air Screen Cleaner and grader, Compound Selector , Seed Thresher , gravity destoner, Seed Coating Machine and Seed Dryer . All this machines will remove out the impurities, cleaning and grading seed . 2. 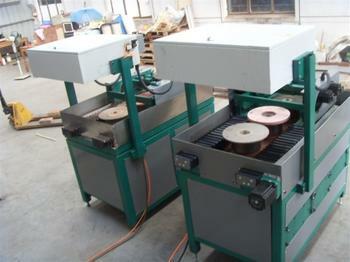 Seed Cleaner and Grader for removing small impurity, large impurity, light impurity and dust. 4. Gravity Separator for removing bad, broken and half seeds. 5. In bean cleaning plant, normal need Bean polishing machine for make the bean shine lead to increase the sell price in the market. 6. Finally quantitative packing via Bagging scale system.